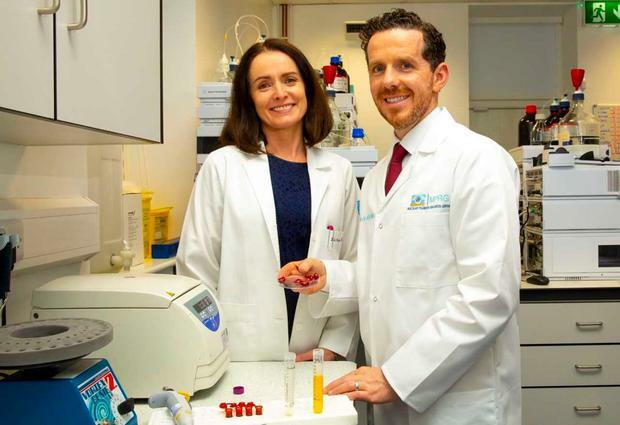 Ireland is set for a medical research windfall with potentially enormous commercial spin-offs after the landmark study. It showed a diet supplement of simple nutritional elements found in foods such as trout, broccoli and peppers can critically help slow the development of the dreaded dementia condition. With the population of Europe and North America ageing, and cases of Alzheimer's expected to soar, the commercial applications of the research are said to be enormous. The study was conducted by scientists at Waterford Institute of Technology (WIT) in conjunction with experts from Cambridge University. The discovery was made by experts at the Nutritional Research Centre which is based at the School of Health Science in WIT. Its results have now been published in the 'Journal of Alzheimer's Disease'. The 18-month study examined the effect of nutritional compounds - found in common foods such as trout, broccoli and peppers - on people with dementia. Pioneered by respected Cambridge University academic Dr Alan Howard, who invented the innovative Cambridge Diet, the trial studied people diagnosed with Alzheimer's from a mild to advanced stage. The trial was conducted with the support of University Hospital Waterford (UHW) and involved two different food formulas. Those who received a compound including special fish oil were found to have overwhelmingly positive outcomes ranging from functional benefits in memory, sight and even mood. Dr Howard said it was a hugely exciting discovery for everyone involved. "This represents one of the most important medical advancements of the century. Alzheimer's disease is the largest public health crisis we face and drug companies have so far fallen at every hurdle in finding a solution," he said. "This study gives us that breakthrough, in a unique natural compound of nutrients." The WIT study was led by Professor John Nolan. "This work identifies a unique way to enhance the localised nutrients of the brain. "Given our growing and ageing population and, importantly, that we live in a time where the nutritional value of foods continues to decline, I believe this is a valuable discovery that will challenge perceptions worldwide about the role of nutrition on brain function." The study was assisted by Prof Riona Mulcahy who said: "This study shows that diet deficiency is key. "Science is now helping us understand exactly what nutrients our brains need. It's a very exciting development." Dr Howard said the next step is delivering such a specially balanced diet supplement. "A supplement which we know is safe, inexpensive and effective could be life-changing for the millions affected by this disease. "I believe this research paves the way for potential prevention of Alzheimer's."